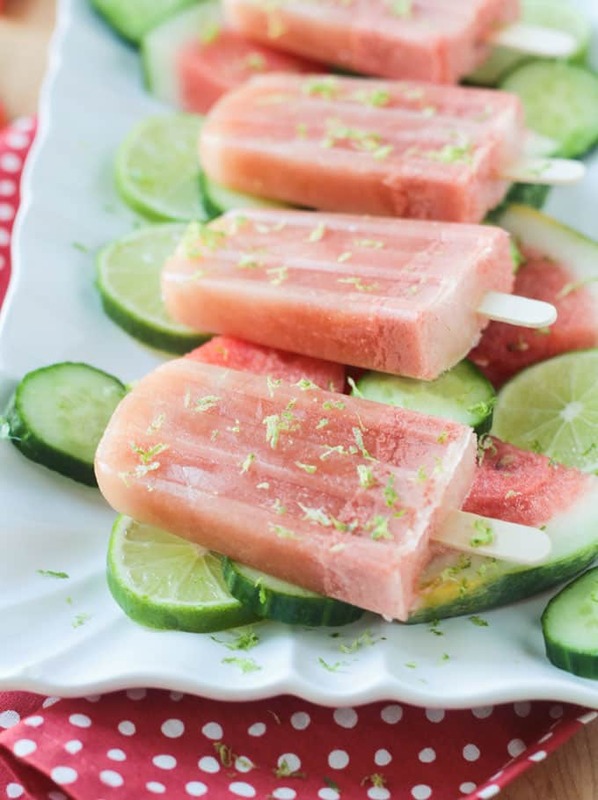 Watermelon Popsicles with Cucumber and Lime – the perfect refreshing treat for those hot summer days. Sugar free and kid approved! Summer is meant for frozen treats. And nothing is more refreshing in the heat than popsicles. Especially these dairy free, sugar free, frozen pops! All the sweetness of fresh ripe watermelon. All the hydration of crisp clean cucumber. All the tart citrus of juicy lime. 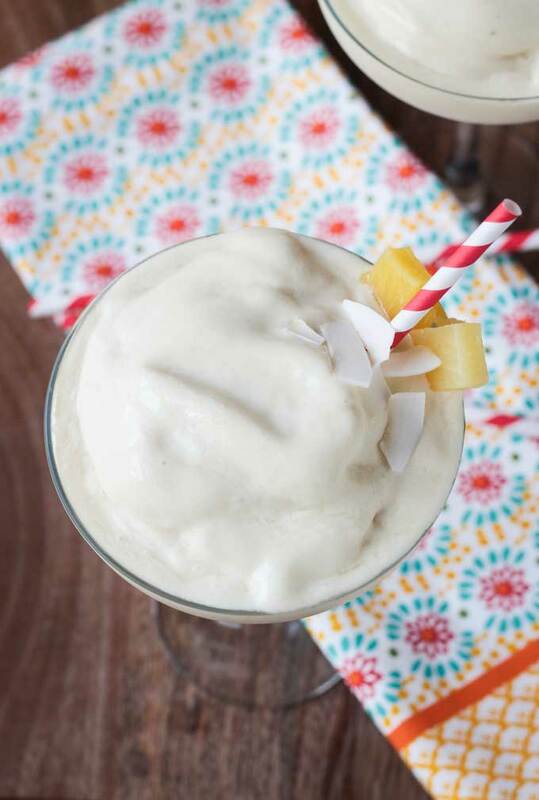 If you have a blender, you can easily make these icy treats in minutes (plus freezing time, of course). So, what are you waiting for? 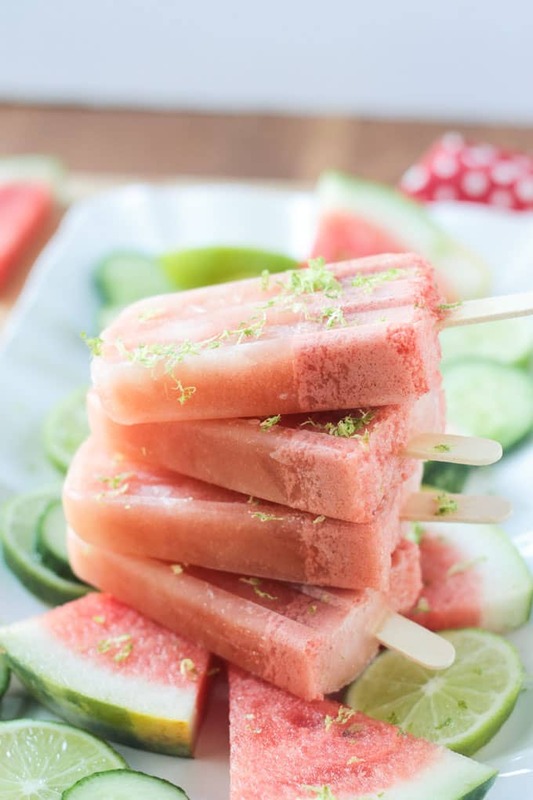 Time to cool of this summer – go make these Watermelon Popsicles! My kids love the Watermelon Cucumber Cooler from Trader Joe’s. I buy bottled juice so infrequently that I didn’t really think to look at the ingredient list the first few times. Did you know that sugar is the 2nd ingredient in this drink? Coming right after filtered water. It would more accurately be called Sugar Water with a Hint of Watermelon. I knew I could do better making it myself at home. And we did…several times. But since it’s summer, I went one further and froze the delicious juice into homemade Watermelon Popsicles. Homemade popsicles are so easy to make. No need to waste your money on store bought ones loaded with sugar. Buying fresh fruit at their peak ripeness should give you all the sweetness you need. If your fruit needs a little help sweetening, a couple tablespoons of pure maple syrup will do the trick. 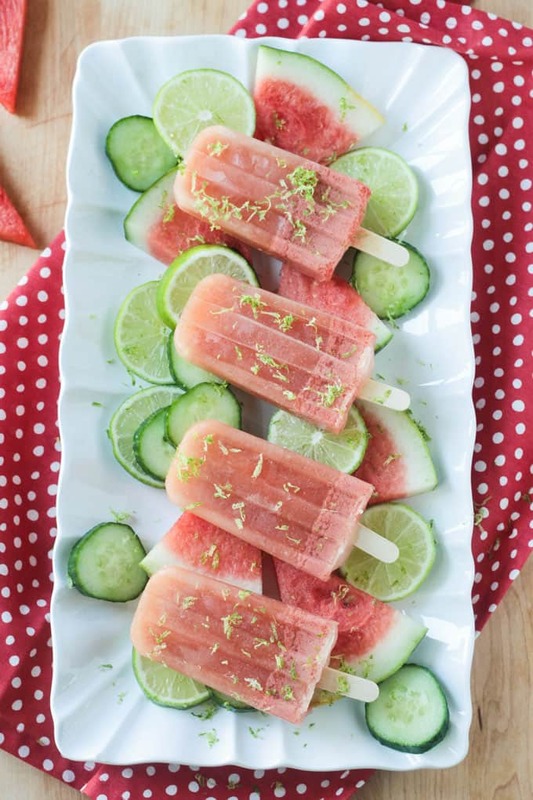 I hope you love these Watermelon Popsicles with Cucumber and Lime as much as we do. If you try them, please come back and leave me a comment below with your feedback and star rating. You can also find me on social media. Be sure to tag @veggie_inspired and #veggieinspired so I’m sure to see it. Enjoy! 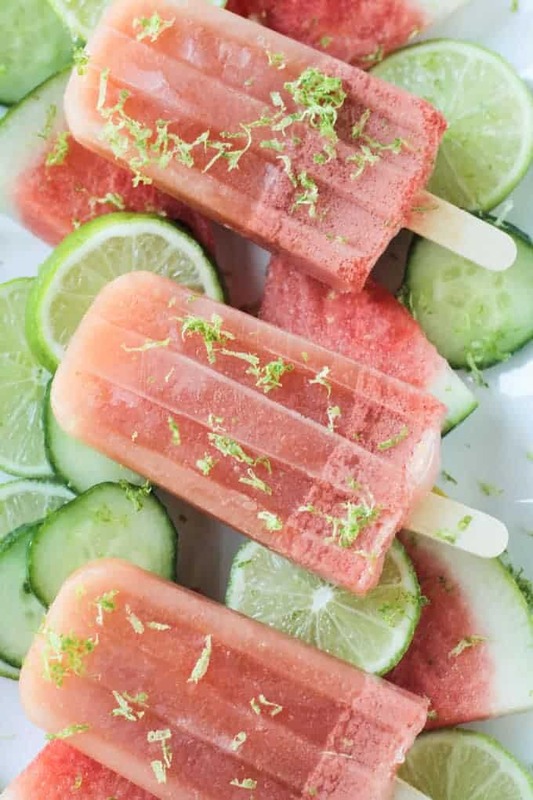 Watermelon Popsicles with Cucumber and Lime - the perfect refreshing treat for those hot summer days. 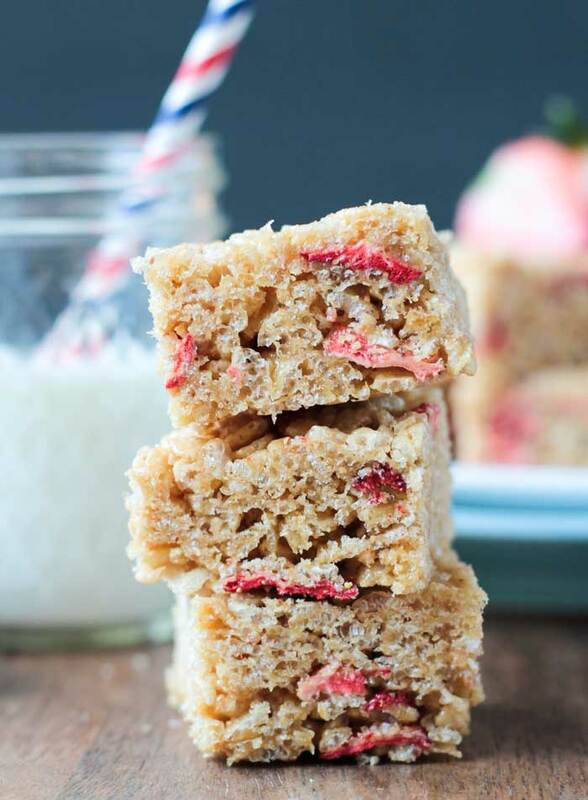 Sugar free and kid approved! Just three ingredients and so easy to make. Place all ingredients in a high speed blender and purée until smooth. Pour carefully into popsicle molds and insert sticks. To un-mold, run molds under hot water for 20-30 seconds. Pull gently on the sticks to remove the popsicles from the molds. ~Total Time does not include freezing time. Thanks, Dahn! Enjoy the rest of summer! What a lovely summery recipe! This is a great combo I need to try, lucky for me I have all the ingredients yay! Popsicles here I come. They look so refresing. Awesome. Hope you love them, Nadja! I love the combo of these flavors! So refreshing! I’m all over this popsicle right now. Here in Miami is pretty HOT and humid. All those ingredients scream freshness and summer cool down. I can’t even imagine how hot it must be in Miami! We are actually experiencing an unusually cool weekend right now, but I’m sure it will be back to normal 80’s soon. Thanks, Carlos! The perfect summer treat! I absolutely love watermelons, can’t have enough of them. Never tried cucumber in popsicles, but the combination sounds fantastic. And a nice kick from the lime. Would love some! Thanks, Daniela! We can’t get enough watermelon either. 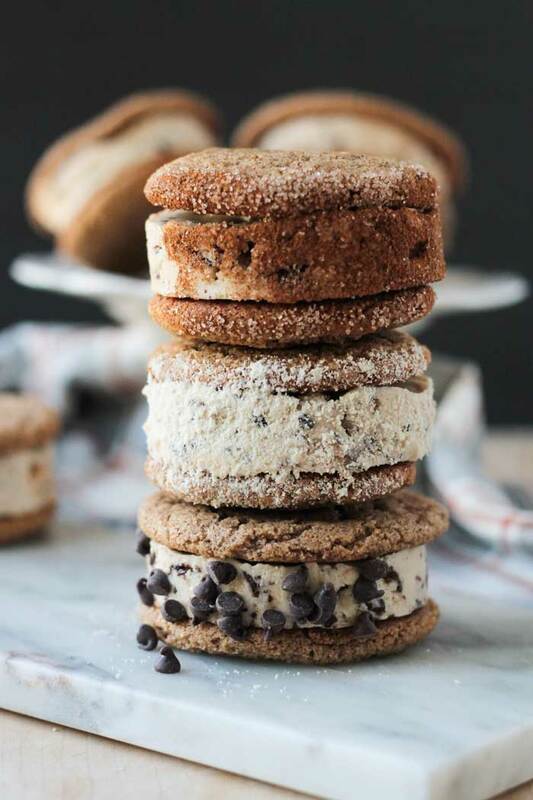 Definitely the perfect summer treat! Thank you, Patty. Let me know how they turn out! Thank you, Tara! I hope you all enjoy them! Watermelon anything is always so good! To have it as a popsicle will be a treat! I like the addition of cucumber in it! Thanks, Shumaila! I love the cucumber in it too. So clean and refreshing! Yum. These popsicles look so good. What a great flavor combination. I’m hoping my kids like them, I already know I’m going to love them myself. Thanks, Edwina! My kids love them! Hopefully yours will too! This is such a great flavor combination! I make a beverage with these ingredients, but I haven’t tried it as a popsicle. How perfect for summer! The first time I made them, I had way too much for 10 popsicles so I drank the rest as a smoothie. It was soooo good!